FMCG or the fast moving consumer goods are the products having a widespread market all around the world. FMCG distribution tends to have low prices and higher volumes than the other consumer goods. The FMCG products are available everywhere from local stores to hypermarkets and are distributed through multiple channels. In such a scenario, establishing an FMCG franchise seems a great idea. However, the competition in this field is rather very fierce and vicious. 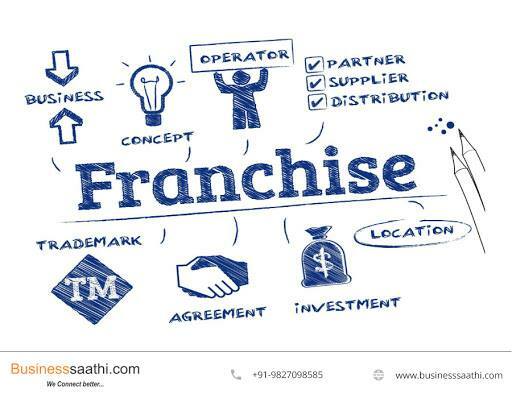 FMCG franchise owners should be aware of the market tactics and strategies to survive through competition and make a mark. The FMCG distribution is a business with extreme competition. To survive through this competition, companies need to know and understand the strategies of their competitors. If you are willing to jump into the FMCG franchise, the most crucial thing is to know the competitors. If you are determined to sell a specific product, visit various stores and find out the other companies selling the same product. Study the price range, the quality, quantity, and such features to estimate how your product can beat the existing products in the market. Detailed research about competitor products is a key factor to make a successful entry in FMCG distribution. Also, do for some in-depth research like the number of competitors, promotional offers they offer, how they market their products, how they are pitching the customers, how much volume are they generating etc. Only after researching your competition, you can launch an FMCG franchise with strategies that can surpass your competition. The stronger your relationships are with the store owners, the better you will be able to expand your products at multiple places. Try to build trust and an honest professional relationship with the store owners instead of directly pitching them for sales purposes. Take some time in understanding their work methodologies and show some interest in it. Build a compassionate relationship with them and consider them as business partners. FMCG distribution faces a lot of competition but when you will have healthy partnerships and relations with the industry people, they will support you in your difficult times as well. Consignment selling is not for FMCG franchises. When the store owners are unsure about the sales of a product, they offer to put the products on shelves while not purchasing the product. This means, if the products are sold, the distributors get their share but if the product doesn’t sell, you have to bear the loss. This can turn as a huge disadvantage for FMCG franchise owners as the store owners will make the efforts to sell the already purchased products and not the products that are on consignment selling. In such a scenario, there is a huge chance that your product may lay in a corner. In FMCG, it is important to set the time frame to sell a product for the best profits and consignment selling doesn’t assure it. The store owners will be able to trust you if you have a constant supply of products. If you have a nicely established supply chain and inventory, you will be able to deliver the products on time and win the trust of store owners. If you don’t deliver your products, they can get the same products from your competitor FMCG distribution channels.